E-commerce has always been a cornerstone of SEO. Sellers need to rank well for keywords that are related to the products that they sell so that searchers can find the products and buy them. The switch to Mobile-First Indexing and entity understanding for search could be a huge opportunity for retailers, or it could be a threat. Especially if the voice-search and ordering component is limited or optimized for a certain set of retailers, or those who are will willing to cut Google into the action. Voice-only online payment and offline delivery add a bit of complexity to the mix, especially if less-durable items like groceries are being delivered, on-demand. SEO’s will need to prepare themselves for potential changes in e-commerce. This could have a lot to do with voice search and Mobile-First Indexing. The previous two articles in this series focused on major consolidations that are happening across a number of the Google brands that all seem related to Mobile-First Indexing. These new innovations facilitate frictionless movement of information and experiences from one device to another, regardless of the differing capabilities of the various devices. The first article focused on Mobile-First Indexing in a basic information retrieval context and the second focused on the media and entertainment context. This is the third article in the series, and it will tie Mobile-First Indexing to current and potential future changes with Google’s online payment options, Google Wallet and Android pay, as well as changes in Google Shopping and Google Express. It will also discuss the challenges and opportunities that e-commerce sites might face as Google fights to reclaim its market share in online shopping and protect its ad revenue from Apple, Amazon and other potential threats. The fourth and final article in the series will outline the geographic implications of Mobile-First Indexing, both international and local, especially as they occur in Google maps. Then it will speculate more about how the preponderance of evidence in these four articles strongly suggests that we may soon be dealing with a whole new Google, and what it will mean for SEO. At Google I/O this year, Google representatives were very enthusiastic about a new one-click, cross-device registration, authentication, and payment that will be available soon, to make PWA shopping experiences much better. According to the speakers, the same technology that Google uses to make cross-device media consumption seamless will also be used to make any kind of cross-device authentication secure and seamless. Google’s new PWA-enabled cross-device payment system will work from the web, so will be easily accessible and secure on any device with a browser including iOS devices. Historically, Google Wallet has been associated with Google-at-large and included by default in Google Chrome. Android Pay, on the other hand, has always been associated with the Android mobile operating system, as the default payment management system on the phone. As you can see on the right, it can hold multiple credit cards and even includes options for mobile carrier billing (T-mobile), and PayPal. From what we can tell, the main thing that made both systems necessary was Google’s desire to enable payment on iOS devices. These two options could continue to be maintained as separate systems, or they could be combined, allowing them to aggregate all the users that have signed-up with the different services all into one. With one unified payment system, it will be easier for Google to integrate voice ‘buy’ commands into Google Home and Google Assistant for all of the cross-device shopping experiences in and outside of the Google ecosystem. With the increased focus on Shopping, and media, the ability to use voice commands to execute purchases without users needing to touch a device will be an especially big deal. The result of this strategy will be a seamless, frictionless shopping experience that is secure and deeply integrated into all of Google’s offerings. When payment systems are deeply integrated and frictionless across all devices, it removes one of the biggest hassles for online shopping and makes people more likely to buy. It will go a long way to helping combat Google’s loss of users to Amazon Video, Netflix, Hulu, iTunes and other media outlets, as discussed for the relationship to Mobile-First Indexing in the previous article. It will also help protect Google from losing more mobile and desktop shopping market share to Amazon Prime, Amazon Fresh, Whole Foods and other future e-commerce competitors. Google believes that they can match their competitors in terms of their inventory and pricing – especially for digital goods, but eventually, they also hope to match Amazon Prime with cheap and immediate shipping of physical goods. This will be especially viable in the future if Google is able to use driverless cars for the automated pick-up and delivery of goods. This concept is discussed more, as it relates to Google maps, in the next article in this series. Google’s Mobile-First Indexing will enable users to interact in a voice-only way to find the information that they need about products and services without a web search – at least the way we conceive of web search today. Either your brand will be strong enough in the mind of the consumer that they will ask for it by name, or your product and its specifications will be the best-fit of the needs of the consumer. Brands that can demonstrate that they are the best-fit for the needs of the consumer will win the business through (hopefully) honest and unbiased direct comparison, based on features and specifications that are comparable because they are well marked-up in Schema. The internet has already led to a decreasing viability for over-saturated offline retail stores, as shown in the graph below, and Mobile-First Indexing may further decrease its importance, especially in industries that are more low-risk, repeat-purchase and voice-oriented, like groceries. Online shopping is changing the offline shopping world in pretty significant ways. The massive growth and adoption of Amazon Prime have removed many of the barriers that kept people from buying things online. Similarly, regular and variable subscription services like Amazon Subscribe & Save, StitchFix, ShoeDazzle, Ipsy, BirchBox, BarkBox, and the like are changing how people prefer to shop, as is on-demand product delivery that is enabled by Sharing-Economy apps like Postmates and TaskRabbit, both of which can be used for food or small-purchase product delivery. The ability to casually shop or even narrow-down potential shopping options using your voice could be a game-changer for all of the online shopping business models in the near future, as adoption grows. Voice-only ordering, like what is already available and growing in adoption with the Amazon Alexa integration, allows people to make quick, low-risk purchase with minimal hassle, but also could allow people to do some simple research and filtering for more complex decisions. Understanding how voice search will be used for shopping, and how to optimize content to work well in that context is a huge topic, so we moved the details about that into a separate post, linked here. The essence of it is that people will search by store, by brand, and by features. The likelihood that the search to start with one or the other is based on the price, risk, and regularity with which the user purchases the product. Success in optimizing for voice search will be based on an SEO’s ability to express and manage inventory-level information about the products, to help them surface in store-specific searches, capitalize on and reinforces brand loyalty, and filter appropriately for advanced searches, based on the features of the product. Ultimately, voice search should make simple purchases easier and add confidence and satisfaction to more complex purchases. When the stakes of a purchase are higher, voice filtering and comparison could help users more accurately compare and evaluate a larger variety of options and information, actually giving them opportunity to ‘talk-through’ the complicated purchases and consider even more products and points of comparison. An automated system that passes no judgment about the questions, priorities or requirements or how long you take to make a decision, which could even improve the shopping experience and level of satisfaction that some users feel with their purchase. Google has two shopping portals; Google Shopping, which has been around for many years, and Google Express, which is relatively new. Google Shopping allows users to search and compare product offerings from many online retailers who have agreed to share part of the revenue from each purchase with Google. Google Express is similar, but in Google Express, product availability is determined by your zip code, and more quick shipping options are available. It does not appear that Google is building huge AI driven warehouses like Amazon, in order to facilitate this quick shipping. Instead, they seem to be delivering items directly from retail stores or small warehouses. If Google Express is eventually able to further decrease their delivery time, its could be a huge boon for local supermarkets that get on-board. Offline retailers (grocery stores and others) could use Google Express as a replacement for individual store-run and app-run delivery services. 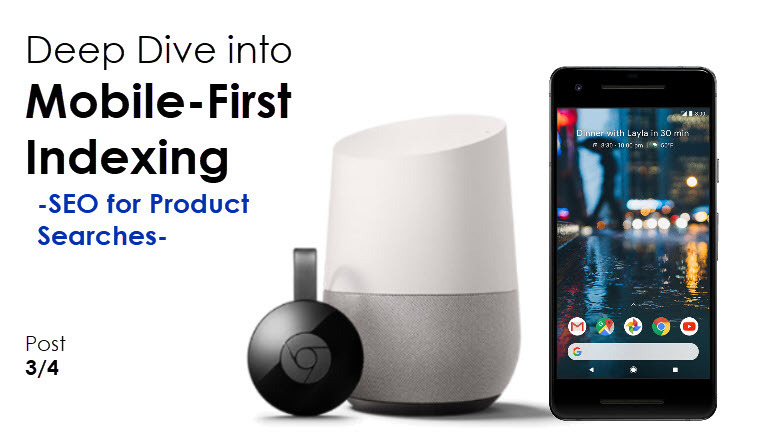 This is relevant for Mobile-First Indexing because Google Home and Google Assistant’s voice-controlled shopping list is already integrated with Google Express, making it much easier for people to place one-time or recurring orders for products that they need using only their voice. This makes Google Express at least somewhat competitive with Amazon Alexa’s voice ordering capabilities, so Google might be able to take back some of the market shares for product-oriented searches from Amazon. It is important to note that the Shopping List was originally part of Google Keep, which is already integrated with Google Docs, so there appears to be a more holistic, base-level integration happening there. To this end, I expect we might see a merging of Google Shopping with Google Express in the next two years, to shift of power away from Amazon Prime. Google may even be willing to take a financial hit or break even to accomplish this task, just as Amazon did in the early days of its existence and of the launch of Amazon Prime, to build momentum and buy-in for the brand. NOTE: We don’t work much with PLAs or Google Shopping, so this is all just based on external observations. To make this idea really profitable, Google will have to isolate a new advantage that consumers want. Google Express does offer free shipping, but the total value of your order from each different store has to meet variable thresholds for each, as you can see in the image below. This might be fine for big shoppers, or shoppers who really just want easy online ordering and quick delivery from companies who are not known for those services, and most of the stores in the list are not. 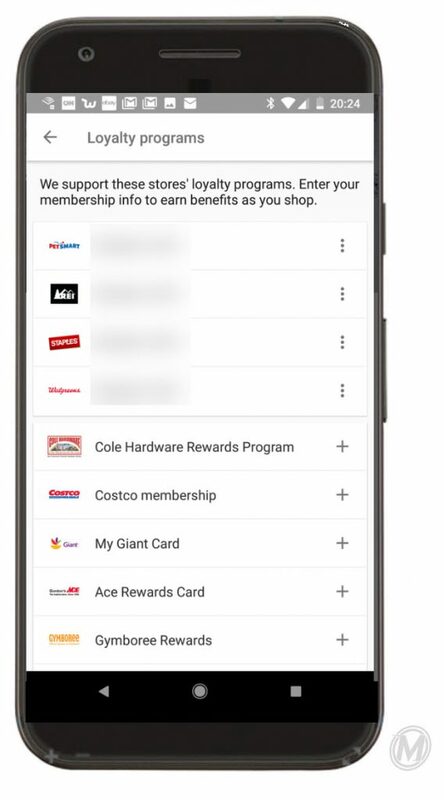 The upside is that Google Express will store and enable information for each of the stores’ loyalty programs, so that you can still accumulate loyalty points, now without leaving the house. If you already have logins and account details for a site, beyond a simple loyalty card, it will store and manage those as well. 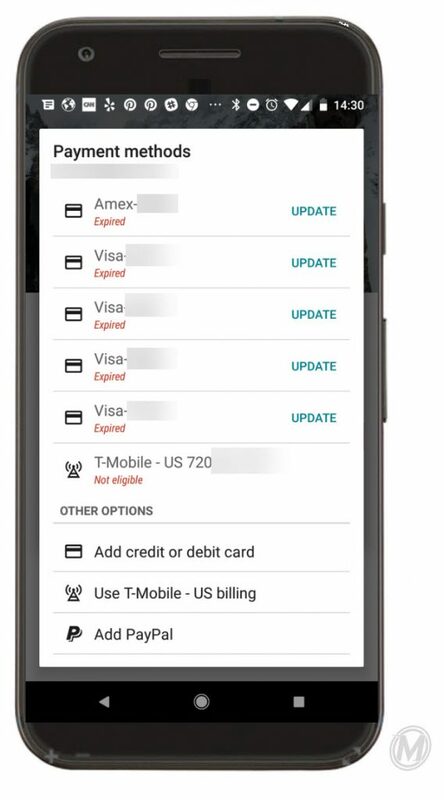 When you add this loyalty and account management system to what we suspect is happening with the Google payment utilities, there appears to be an even more powerful consolidation opportunity on the horizon. Once the two payment utilities are merged, the resulting product can be rolled into the Google Express payment system to manage all payment options as well as loyalty accounts and logins, making the long-term prospect for automated and voice-only ordering from Google Express that much more appealing. Loyalty points are good, but voice-only, same-day delivery and automated repeat delivery and billing, like Amazon Subscribe & Save offers are great. Companies originally seemed slow to onboard with Google Express, but there appears to have been a recent surge in the number of major department stores that are integrating with Google Express. The current list of brands includes: Target, Walmart, Overstock.com, Wayfare, Whole Foods, CostCo, Kohls, Fry’s, The Home Depot, Walgreens, Bed Bath & Beyond, Ulta Beauty, Guitar Center, Hayneedle, JOANN, Payless Shoes, ACE Hardware, Pier 1, Sur le Table, Toys’R’Us, REI, The Vitamin Shoppe and more. As you can see in the list on the right, taken from Google Shopping, most of the top participants in Google Shopping are already part of Google Express. Some stores like Pier 1, Sur le Table, Fry’s, CostCo, WholeFoods, Ulta Beauty, REI, Payless Shoes appear to be part of Google Express but do not appear to be part of Google Shopping; still, there is definitely a large amount of crossover, and this may be further corroboration of an impending merger. A potential consolidation of Google Express and Google Shopping may seem tangential for SEO because technically these are both sponsored search options, not organic search. While this is true, I believe that it will still be important for SEOs to focus here, or at least be aware of it. Voice ordering may be compelling enough for consumers that they may change search behavior to the only shop with utilities that facilitate it like Amazon and Google. This is exactly what Google wants because they get revenue from each transaction. In the future, most shopping with Google may be ‘Sponsored’ to one degree or another, which could be further altered to help get them out of future antitrust problems in the EU, where they are paying a €2.42 billion (~$2.73BN) fine. In this case, it was proved that inclusion of products in Google Shopping made it harder for organic products to surface, so if Google could make all product inclusion the result of the submission, and not rank products organically at all, that would be a win-win for Google. It is hard to know exactly how this change might happen, but it seems likely (or at least possible) that products which are not available in Google Express or Google Shopping will become even harder to find, especially in a voice search context. Items that can not be easily surfaced or compared in voice search would suffer. Changes like this may force us to redefine the distinction between paid search engine marketing (SEM) and organic search optimization (SEO), as the base requirements for success in SEM will begin to look more and more like skills that have historically been associated with SEO. Moving out of Sponsored product optimization and into a more pure-play organic optimization discussion about e-commerce and Mobile-First Indexing, we have to start with Google Images. It is quite possible that Google Image Search is already coming from the Mobile-First Index and has been for about the past 6 months. The images all appear to have been re-indexed, based on schema and entity understanding, rather than being indexed exclusively on the text content of the page where the image is from. 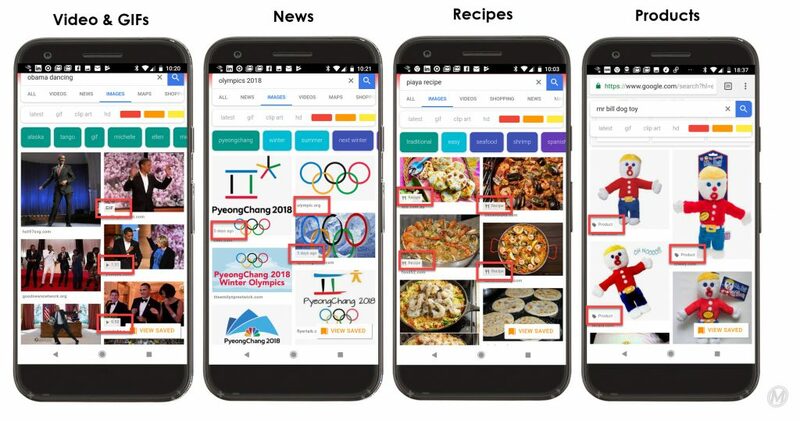 With this new indexing, images are identified with special symbols when they are GIFs, still images that represent videos, news, recipes, and products, as shown below. The change was most noticeable when product images got marked up with a little icon that indicates that they were a product, and all the vital stats for the product got lifted into the image search results ‘details’ information, as shown below, so that images could be filtered based on color, price, size, seller and other shopping oriented criteria, which is also shown below, though unfortunately the sorting feature seems to have been disabled for now. This kind of image tagging shows that Google is not drawing a hard line between image results, and shopping results, news results, and any other image content. It seems like the entity understanding of the new Mobile-First Index allows these concepts to ‘sit together’ despite coming from different types of sources, which is nice because it adds utility and fits with how many people already shop online; finding items that they are interested in, then searching Google Images to see examples of how bloggers have styled an item of clothing, how the furniture or fixture looks in various rooms, or how the sporting gear looks after a real workout. This presentation of image search results is also great for comparison shopping allowing competitors like eBay to filter into the consideration set, where they might not previously have been. 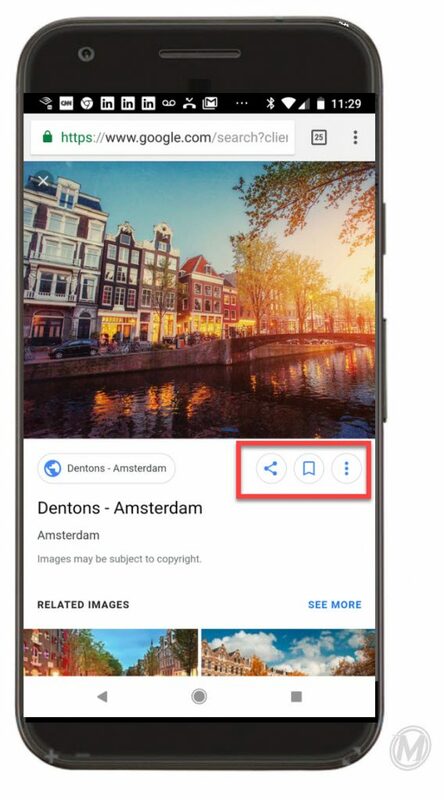 Google began adding entity-style filters to the top of Google Images about 18 months ago, and these may have been the beginning of Google’s entity understanding for images. 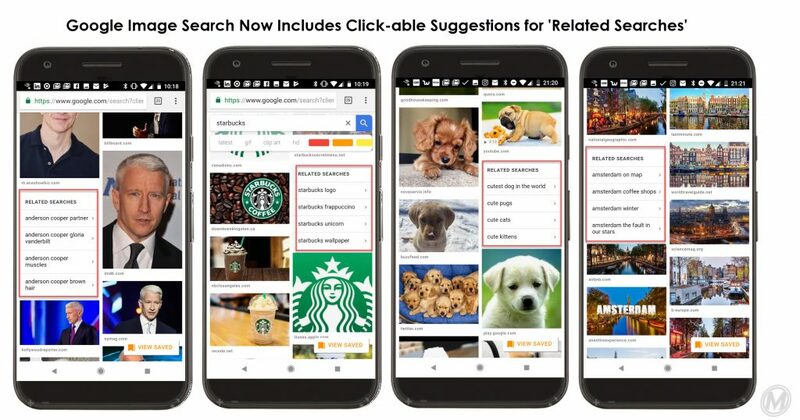 Before that, Google Shopping and Google Images have both been using their image matching algorithms to recommend similar items, described in the info box to the right, but this new image indexing seems much more driven by Schema and entity understanding, as discussed in Article 1, rather than image recognition. Image recognition and matching is still very important to Google, but it has to fit into their new entity understanding of the web. 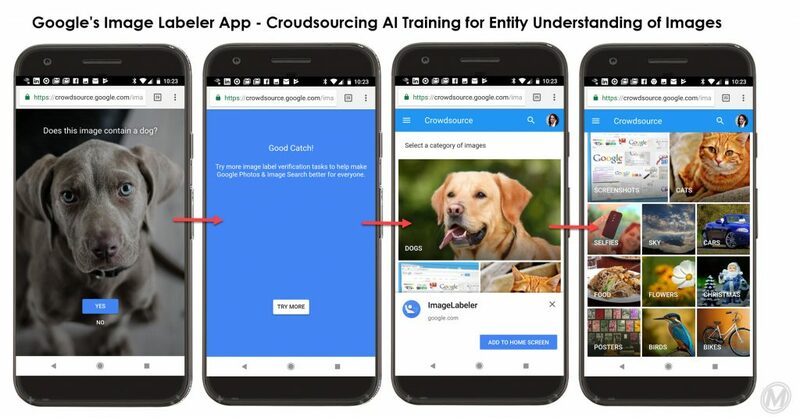 Google is even asking users to help with AI image recognition and categorization training tasks, using a crowdsourcing app which asks users questions about images to help them categorize images more accurately and make their entity understanding of images better. The other indication that Google Images is already using the Mobile-First Index is the Dynamic ‘Share’ Links that are now included with all the images. Remember, Google uses these links when they ingest an entire database of information without requiring that URLs are available to associate with each concept, idea or entity. The share links are visible with the new save button and vertical triple-dot ‘more’ button with each image, but these may become more prominent over time. Currently, most of the images in Google’s Image search results do appear to have URLs, but this may not always be the case; especially if Google begins ingesting entire product catalogs directly from a database that is marked up with JSON-LD, instead of crawling e-commerce websites. Even though Google Images is pulling in information from e-commerce sites, it is not pulling in Google Shopping results, aside from the Sponsored carousel at the top of the page. The images always appear to link to their original seller, so unlike Google Shopping and Google Express, in Google Images Google is not getting cut-into any of the transactions. This could be hard to understand at first, but in a cross-device context, they make plenty of sense. Image searches will obviously struggle in a voice-only/eyes-free context, but they could be very useful in a voice-assisted scenario, such as a person who wants to search images on a voice-enabled TV. Adding a multiple-choice option for drill-down into the images will probably improve that user-experience significantly, but still help the voice recognition AI, because they cause the user to prompt the system with related options that it is already expecting; much like a multiple choice question in a voice-only experience. Last but not least is tracking. Tracking is incredibly important for e-commerce SEO but may get much more complicated after Mobile-First Indexing. 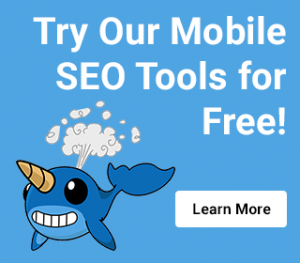 By now, everyone in the industry is aware that there is a new version of Google Search Console available, but there are some things that we might be able to glean from this about the Mobile-First Indexing update. The New Search Console is accessing different data that the Old Search Console could not; it is not just a re-skin of the same data. It seems to have been launched separately, on a different subdomain in order to keep the information about the two indexes from overlapping and creating duplication or confusion. Google may have also have used statistics from the New Search Console to compare with the Old Search Console, until they achieved some threshold of similarity in reporting, to know when the rankings and behavior in the Mobile-First Index were starting to match up with the rankings and behavior of the traditional Desktop-First Index. NOTE: At the Friends of Search conference last week, Garry Ilyes did not deny the relationship between the new Search Console and the Mobile-First Index, and said that there was some relationship. The main signal that indicates the relationship between Mobile-First Indexing and the New Search Console is the section that measures, ….wait for it….indexing! Since Mobile-First Indexing is new and will work for content that does not require a static web URL, that can’t be tracked by Google Analytics, Google needs a tool to report on the new non-URL’d content; hence the Indexing Report in the New Search Console. Most likely, web masters are only seeing URLs in their accounts because they only have websites set up to track to Google Search Console. It seems likely that once Mobile-First Indexing is fully launched, Google will start providing more information about how to ensure other things like Native Apps, Instant Apps, single-URL PWA’s, databases and other content are doing as far as Mobile-First Indexing. E-Commerce is an important part of the internet economy but changes spurred by Google’s transition to Mobile-First Indexing could change how shoppers find what they are looking for online, and how SEO’s manage and optimize their online sales. The potential for voice-only shopping and ordering of products could be a huge opportunity for many companies, who are able to move quickly and adapt to the changing landscape in this space. Capitalizing on existing systems from Google or finding your own way to ensure secure payment and quick delivery will be critical to competing for the shoppers business. 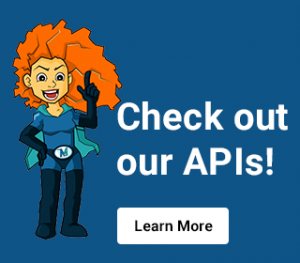 The first article in this series focused on how Mobile-First Indexing might change basic information retrieval and the second article focused surfacing and serving media and entertainment across different devices with voice search. This article tied Mobile-First Indexing to current and potential future changes with Google’s online payment options, Google Wallet, and Android pay, and also discussed the potential impact of Google Shopping and Google Express. The fourth and final article in the series will outline the geographic implications of Mobile-First Indexing. It will focus more on Google Maps but discuss local and international implications for Mobile-First Indexing. It will speculate more about how all the changes discussed in this article series indicate that we may soon be dealing with a whole new Google. 1. Amazon Prime & Amazon Fresh have taken a considerable amount of the online shopping market share and share of search. Google sees integrated, cross-device shopping as a way to protect and regain that market share. 2. On-demand product ordering and delivery, along with subscription services like Stitch-Fix and BarkBox indicate changes to the way that people think about the online shopping experience. 3. Google may use their mobile wallet options, Google Wallet & Android Pay to help make cross-device, voice directed shopping even easier. Google has also said that they are working for a one-step signup, login, authenticate and purchase utility that will work in PWA’s but it is not ready yet. Google hopes that this will work on in both Android and iOS settings. 4. Google has also been building-out Google Shopping and Google Express with more integrations and features, to help make it easier to find products in a variety of searches, including Google Image searches. 5. Google has been testing a variety of different types of Image search presentations that focus on Product Search. 6. Again, Google may be offering multiple versions of a product to help appeal to iOS users – as mentioned in the last article, with Google Play TV & Movies and YouTube. For payment, the Android option is Android Pay, and Google Wallet may be used to appeal more to iOS users. 7. Brand awareness & accurate features list may be more important for surfacing products in a voice search than long-tail keyword combinations & links. 8. Google Express is different from Google Shopping. It focuses on local goods, based on the user’s zip code. It may be used as a grocery rival for Amazon Fresh. 9. 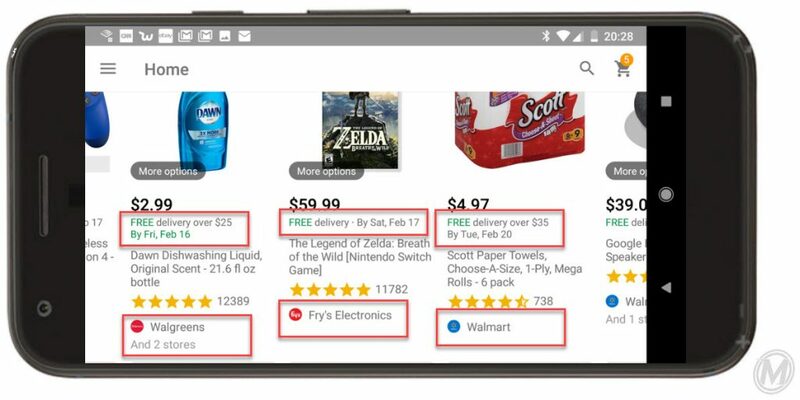 Google has a Shopping List feature that is present in Google Keep, but is also exported and available in Google Express, speaking to a potential larger plan for Google’s overall integration. Google Express also consolidates information from loyalty accounts of the participating vendors. 10. Products that are not available in Google Shopping or Google Express may be hard to find in voice searches. 11. 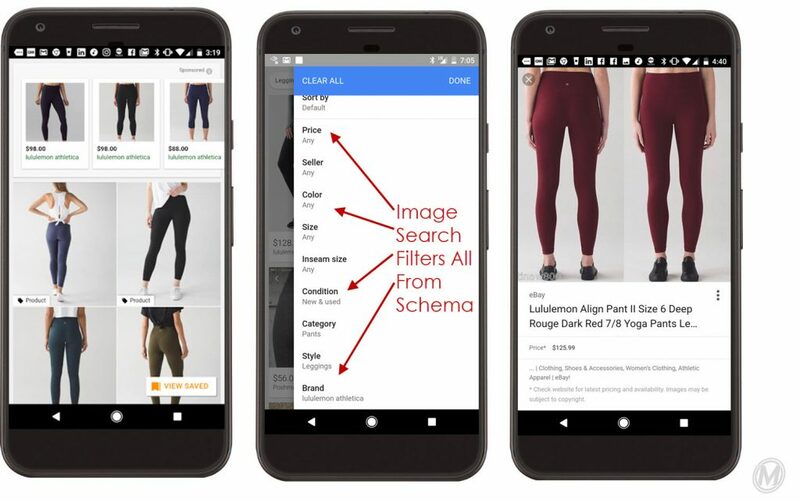 Google Shopping matches related searches based on image matching in product photos rather than text matching in product descriptions. 12. Google may begin ingesting entire product databases that are marked up with JSON-LD rather than just using feeds or traditionally crawling websites. 13. New Search Console is accessing different information that Old Search Console could not necessarily get. It is not just re-skinned data.